Possibly the biggest misconception about networking is that the end-goal is employment when, in reality, the goal is to connect with like-minded people. Since graduating from college in 2012, I’ve worked for several places, from massive companies like Amazon to start-ups and anywhere in-between. I believe that would have been impossible without the inherent benefits of constant networking. Here are the ways I made the most of my networking opportunities. Before you meet with anyone, be honest with yourself about what you want from your career. This is not something you can bang out between episodes of Empire. Spend time in a quiet space with a pen and paper, and actually write out your passions and interests. Try to imagine where you want to see yourself in one year, then where you want to be in five years, ten years, and your dream job. Be imaginative and set lofty goals. Spend equal time considering your professional interests and researching the necessary steps to get there. Do you need to go to graduate school? Are there additional skills you need to learn? Do you feel affirmed by your plan to DJ until you’re sixty? (If so, might I suggest going by DJ Foxxxy Grandpa?) This will help you speak to what you want and why when networking with others. LinkedIn is amazing because it’s like Facebook but for people who are actually productive. I don’t know why my generation dismisses LinkedIn with severe eye-rolls, but I find it to be a source of endless motivation. If you haven’t already, create a profile and start connecting with people you know. Follow companies you’re interested in and join groups that focus on your profession, endorse coworkers and classmates and, if you’re feeling especially punchy, write someone a review. Find people who are in your field and reach out to them. The worst that happens is they either don’t respond or they decline. I’m astounded by how many people are willing to meet for coffee and speak with unmitigated candor. 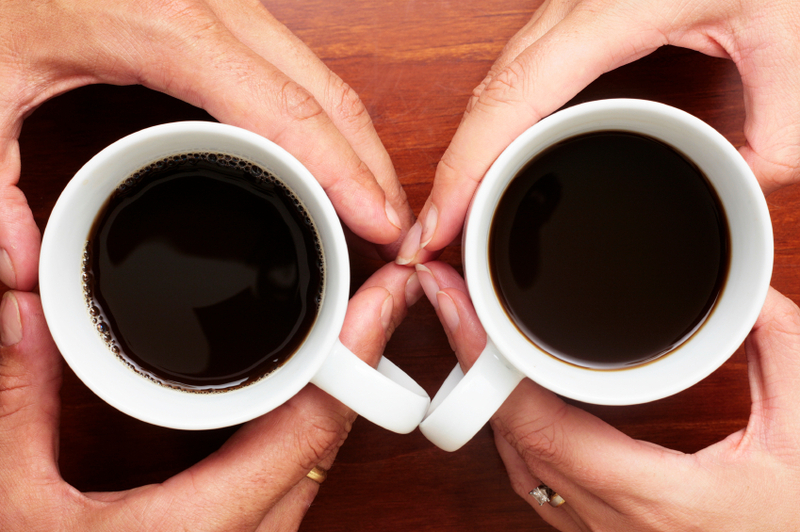 Ask when they can meet for coffee at the most convenient time and location for them. Talk to everyone you possibly can. Networking is about building a community based on dialogue and it all starts with one simple message. Make a list of contacts from past internships, leadership roles, part-time or full-time employment, and your local community. You’ll notice the vast majority of people you reach out to will be overwhelmingly interested in speaking with you. Show up fifteen minutes early and be knowledgeable about your contact, the company they work for, and their role. Be curious and attentive. I highly recommend bringing a notebook and pen to take notes. Your dress code should adhere to what I like to call “butler casual,” which means be comfortable but not sloppy. At the end of each meeting, make sure you add the contact you make to your shiny LinkedIn profile. Much like The Bat Man, your professional hero is entirely symbolic. While networking, you’ll start to identify qualities you admire and hope to adopt as your grow. Again, make a list and take active measures to expand your repertoire. You will start to gravitate toward these changes by spending time with the people you find knowledgeable. These small adjustments – whether organizational habits, speaking skills, general follow-through – will help you become a tactful professional. While building your network through LinkedIn, take notice of how each contact has a unique career path, especially if they’re in your field of interest. It’s impossible to perfectly mimic someone else’s course but this will give you an idea of what’s to come. Push yourself to do something new that aligns with your interests so, when you’re asked about yourself, your hobbies won’t exclusively include 30 Rock marathons, doing laundry at midnight, and Cheetos. I volunteered at 826 Seattle (now known as The Greater Seattle Bureau of Fearless Ideas), a nonprofit that focuses on educating kids of all ages, and discovered a use for my editing skills that diverted from the norm, instead reading stories about alternate universes and noir cop dramas. The experience itself was enriching but also connected me to a handful of writers I sincerely look up to. –Start with the status of your job or job search. Members of your network are interested in hearing about how their advice helped you with reaching your goal, too. –Write about your personal life. Tell them about any volunteering you’ve done or personal goals you’ve started to work towards. –Before you actually send your message, make sure your contacts are all BCC’d to ensure their privacy. They gave their contact information to you and aren’t interested in having it distributed amongst people they don’t know. I’ve found that sending a newsletter helps keep most of my network intact. Contacts will respond with simple messages thanking me for the update, and sometimes they send invitations for more meetings. Want to master The Art of Networking? Join podcasters from The Art of Charm for their upcoming course on The Art of Networking. Are You Using the Right Body Language When You’re Networking?